I am often asked what sort of much I recommend. 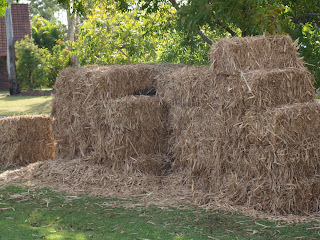 I only use sugar cane in bales, I find that this coarse mulch does not compact and allows rain and fertilizer to flow through and reach the soil, whereas other fine mulches will compact and any rain will drain off. Prevents soil erosion; and returns nutrients back into the soil. 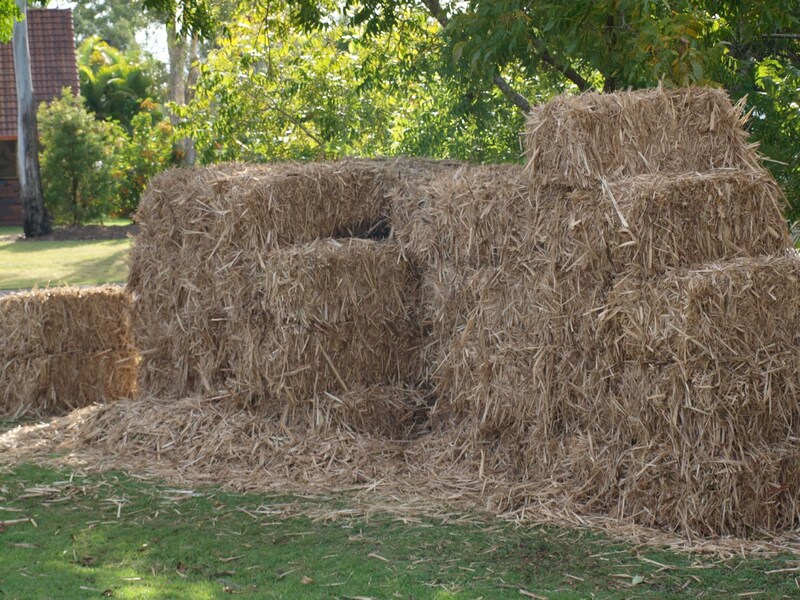 We apply sugar cane twice a year using around 160 bales every year (we have a big garden). We apply it to a depth of 3 “or 75 mm and ensure the soil is moist prior to spreading. Remember that by mulching your garden you are INSULATING your soil, so the most important time to mulch is prior to winter. Now where do you get it and how much? We get ours delivered (10 bales or more is free delivery) at $5.50 a bale by Andrew Currant from Norwell. His contact details are farm (07)55462303 and mobile 0414458175. G'day Ian and Judy, I also use sugar cane mulch for the same reasons. I was buying mine when I visited my daughter and son-in-law who lived at Maryborough. When they moved back to Sydney I needed a new source. I now buy jumbo super bales (said to be equal to 14 rectangular bales) at $68 per jumbo bale. Two big bales fit on my ute. 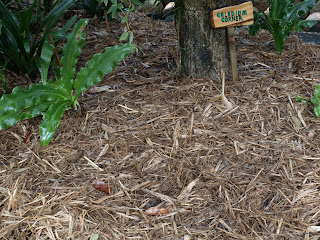 I began using the sugar cane mulch after visiting your garden back in about 2004. 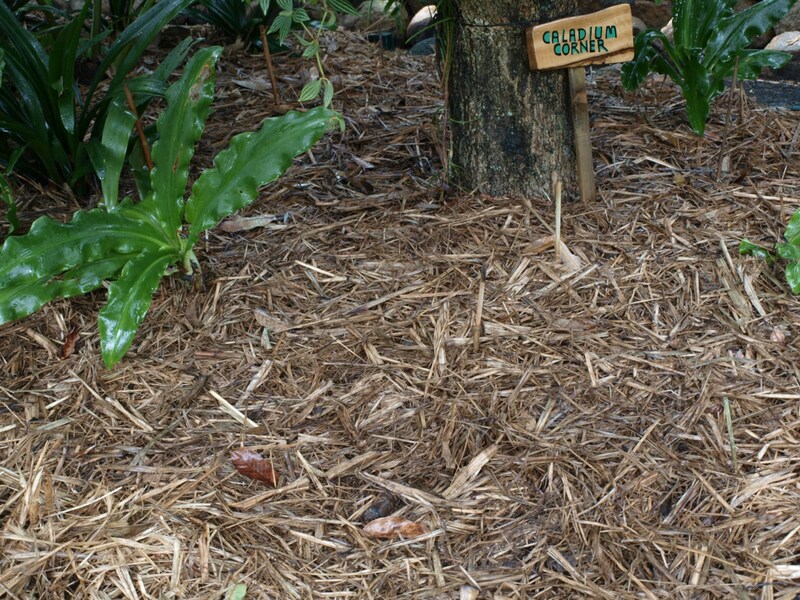 I have tried other mulches but I find sugar cane mulch the best. Hi Daniel, where do you get your jumbo super bales from - they sound spot on. Totally agree with your comments about sugar cane mulch. Here in the northern tropics other organic mulches tend to become very, very compact under the baking hot sun and the force of our torrential rain. Sugar cane mulch doesn't ... a definite plus for my garden. I have recently found Rocky Point Mulching Sugar Cane Mulch at my local nursery. It is great. When I opened the bag it just kept coming out, and the mulch was nice and fine, no big clumpy bits! The plants went mad! Hi Ian, thanks for the information. We recently purchased an old Queenslander in Stones Corner and are busy renovating. We moved from acreage on the Sunshine Coast and now find ourselves with just a small block to manage. We've planted beds mostly with sub-tropical flowering ornamentals as well as herbs and a few vegies. We've applied some ti-tree mulch and sugar cane mulch and everything looks pretty happy. I'm wondering if you have suggestions for what to put on the paths between the beds and through the backyard. We don't want anything permanent like bricks or paving as we may wish to change the position of the beds over time. Do you know what sort of mulch would be good to differentiate the paths from the beds and to be good to walk on and use a wheel-barrow on? Kali, I would use grey crusher dust it forms a great path and binds together so it will not wash away. It looks good and can be raked to keep clean. If ever you need to change path to garden all you have to do is replace dust with dirt. It is quite cheap being about $50 dollars a metre. Hope this has been of some help. If you are bringing in soil stipulate 'GREENFINGERS" they have the best organic soil around. Do you know if Sugar Cane Mulch is ok for Puppies? We have a 7 month old Staffy and we just layed a heap of Sugar Cane mulch - she loves it - running and digging, however i noticed she is now coughing and spewing....wondering if is harmful or she is just getting used to it? I was about to ring Andrew also, can anyone help with a contact for bales for Springwood, I need delivery. Thank you?